This introduced perennial has broadly elliptic, egg-, or lance-shaped basal leaves marked by strong parallel veins. The leaves are large (to 18 cm long and 11 cm wide) and may have irregularly-toothed or smooth edges. Multiple upright stems each bear a long narrow spike (to 30 cm) of small greenish flowers. Common plantain reaches 50 cm tall. 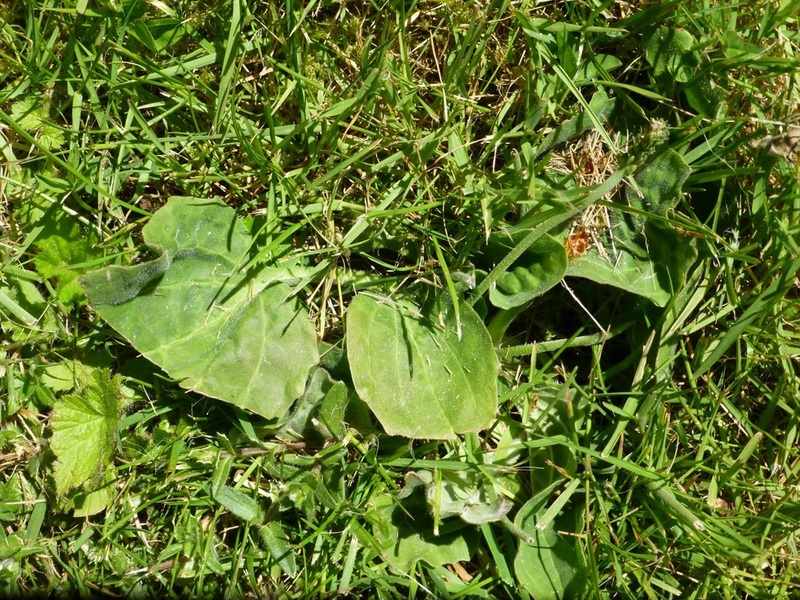 Common plantain is considered a weed and grows in disturbed areas such as lawns, fields, and roadsides. It is not native to western North America; it appears to have been introduced to North America from Eurasia, where it is common and widespread. It is also common in BC, especially in areas of human settlement. Ribwort (Plantago lanceolata), another species introduced from Eurasia, is mostly found in southwestern BC. Its leaves are narrower and and less strongly marked by veins. Historical uses of this plant include treatment of bruises, ulcers, and sores; some locations still use it to heal burns and wounds, as the leaves contain soothing tannins and astringents. Greater plantain (Plantago major). ARKive. Accessed 01/09/2015. 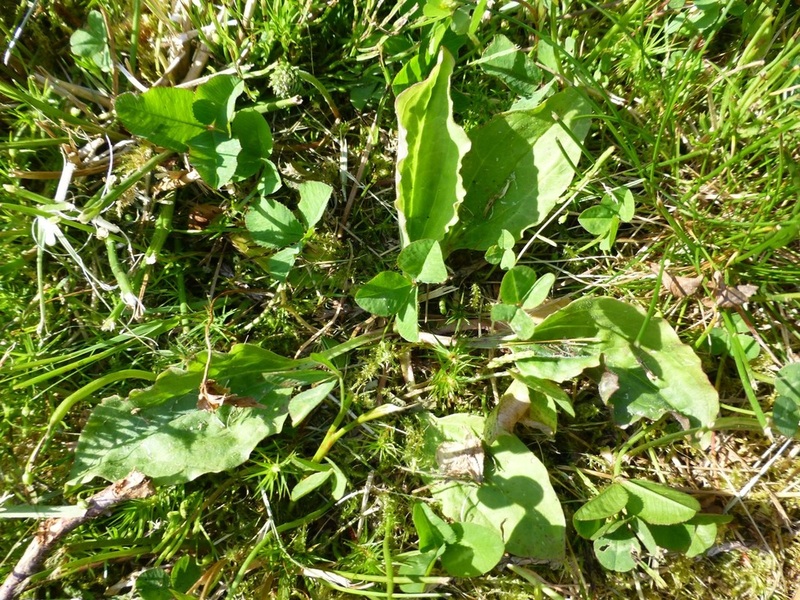 Plantago major L. In Klinkenberg, Brian. (Ed.). E-Flora BC: Electronic Atlas of the Plants of British Columbia. Lab for Advanced Spatial Analysis, Department of Geography, University of British Columbia, Vancouver. Accessed 08/01/2015. Pojar, J. and MacKinnon, A. (1994). Plants of Coastal British Columbia. Vancouver, BC: Lone Pine Publishing. P. 329.